To celebrate a 20 year evolution of dedication to style, DOES released a very personal story. This book is filled to the gills with unreleased sketches, stories and drawings. 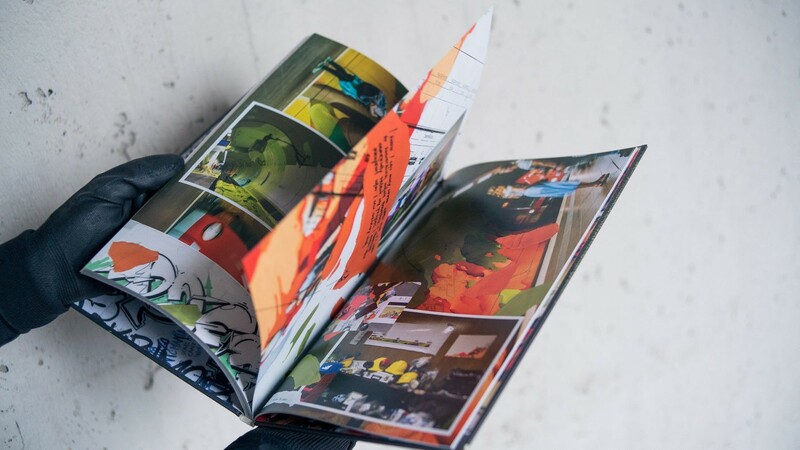 One of a kind exclusive book based on DOES's original blackbooks. 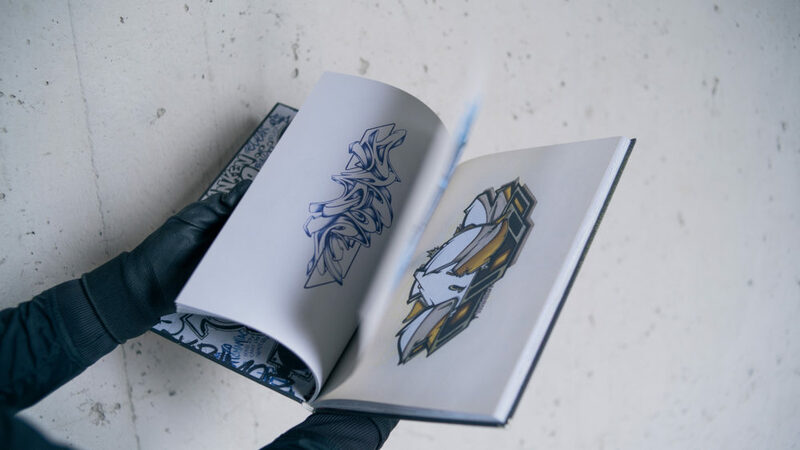 It starts way back showing DOES's earliest sketches from 1997 and goes on to show his most recent, often torn, sketches which are now the basis for his murals and canvasses. Throughout the book you'll find handwritten notes by Does himself and by his father, giving insight into his artistic development and making this book very personal. Only 800 copies of this book were published. Each book comes signed and numbered by Does. BOOK RESTOCK: mail us on shop@digitaldoes.com to get on the pre-order list. This book is filled with unreleased sketches, stories and drawings. 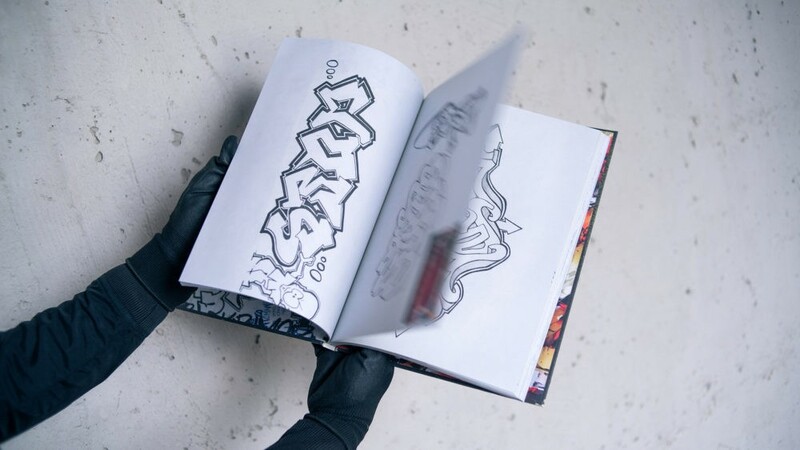 One of a kind exclusive book based on Does's original blackbooks. 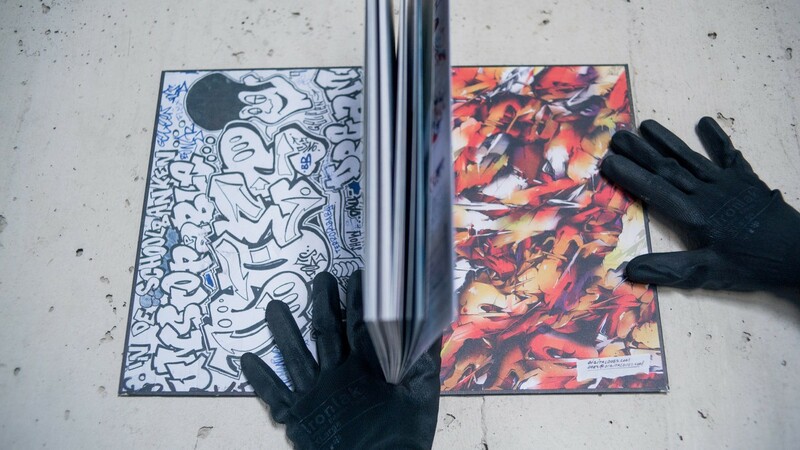 The book consists of 48 pages on uncoated paper, 48 pages on silk coated paper. Each of the 800 copies, is signed and numbered by Does.